**Payment policy: Payout every day for those who have at least 0.02 Waves on their balance. We pay 98% of rewards, all tokens are being sold before reward distribution. We currently support all features but vote for one new feature at a time. We would like to consider lessors opinion once there will be a practical and easy way to vote. We have one of the smallest fees on the market, only 2%. We send rewards via our blocks, so there are NO transaction fees. We are simple and safe. Your daily payouts are just a killer feature, nice work! Why do you still support assets as a fee? The sponsors age has come. How do you sell tokens? It looks like you`re doing it with bare hands. 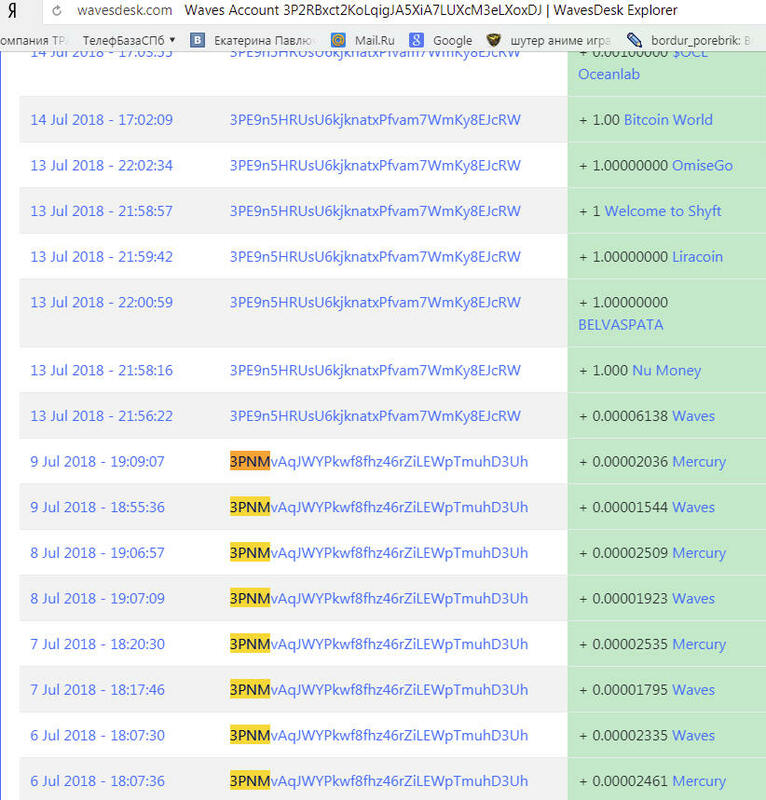 Selling by hands mainly relates to MRT and other airdrops. Right now all commissions are converted automatically, but MRT and others alike are being sold manually. We have an upcoming automation for that too. Hi! Regular payments from you stopped on July 9. Why? Hi. It may appear that your reward haven’t filled up enough and is currently lower than 0.02. Other than that, all rewards are distributed automaticaly once there is more than 0.02 Waves on the balance. You can give us your address if you are curious about your stake right now. We are talking about reward amount, not your total leased Waves. Your last reward was 0.00001544, but since July we pay only after reward reaches above 0.02, so it will take some time to fill up. Right now you have accumulated 0.00348862 Waves. whats the minimum deposit to get payment 0.02 wave? You may lease any amount you want, but we pay only after the sum of your reward reaches above 0.02 Waves. Our node started to mine on it’s own fork and was unable to sync with the rest of the network. Node was restarted and is going to be back in few hours. This number should be more than a number of your private nodes (if a cluster used). en cuanto tiempo paga el arrendamiento? we pay only after the sum of your reward reaches above 0.02 Waves. Pagamos solo después de que la suma de su recompensa llegue a más de 0.02 Waves. Trivial question, but I am new to waves. I started a small lease to test things out. To lease more should I cancel the first to combine funds, or does this even matter if one has multiple leases to the same wallet. No need to cancel your first lease, your leases will combine and rewards will be calculated accordingly. Wonderful. Thank you for responding.